**Autonomous Control Systems Laboratory Ltd. This paper presents a fault-tolerant approach for the propulsion systems of hexacopters (i.e., rotors and propellers) to overcome failures during outdoor autonomous flight missions. 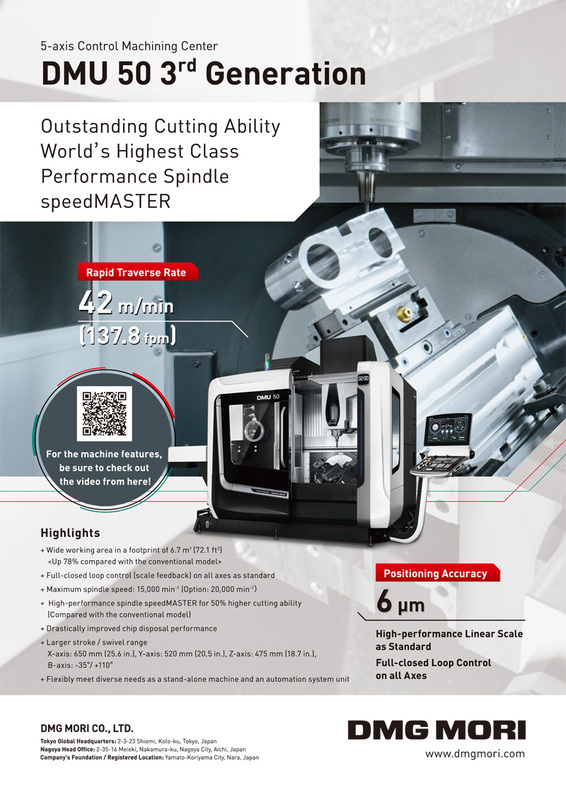 In this study, we used an explicit control allocation method for each stopped motor, and an asymmetrical motor rotation arrangement is applied in order to guarantee the controllability of the yaw. Finally, the developed fault diagnosis and isolation system is tested during a global-positioning-system-based autonomous flight of a hexacopter with a failed motor. Y. Yang, D. Iwakura, A. Namiki, K. Nonami, and W. Wang, “Autonomous Flight of Hexacopter Under Propulsion System Failure,” J. Robot. Mechatron., Vol.28, No.6, pp. 899-910, 2016. M. W. Mueller, M. Hamer, and R. D’Andrea, “Fusing ultra-wideband range measurements with accelerometers and rate gyroscopes for quadrocopter state estimation,” IEEE Int. Conf. on Robotics and Automation (ICRA), 2015. D. S. Maughan, I. T. Erekson, and R. Sharma, “Flying Inverted Pendulum Trajectory Control on Robust Intelligent Sensing and Control Multi-Agent Analysis Platform,” 2015 Int. Conf. on Unmanned Aircraft Systems (ICUAS), 2015. K. Bipin, V. Duggal, and K. M. Krishna, “Autonomous Navigation of Generic Monocular Quadcopter in Natural Environment,” IEEE Int. Conf. on Robotics and Automation (ICRA), 2015. A. Mokhtari and A. Benallegue, “Dynamic Feedback Controller of Euler Angles and Wind parameters estimation for a Quadrotor Unmanned Aerial Vehicle,” IEEE Int. Conf. on Robotics and Automation, 2004. M. Blanke, M. Kinnaert, J. Lunze, and M. Staroswiecki, “Diagnosis and Fault-Tolerant Control 2nd Edition,” Springer, 2006. H. A. Izadi, Y. Zhang, and B. W. Gordon, “Fault Tolerant Model Predictive Control of Quad-Rotor Helicopter with Actuator Fault Estimation,” Int. Federation of Autonomous Control (IFAC), 2011. M. W. Mueller and R. D’ Andrea, “Stability and control of a quadrocopter despite the complete loss of one, two, or three propellers,” IEEE Int. Conf. on Robotics & Automation (ICRA), 2014. A. Freddi, S. Longhi, A. Monteriu, and M. Prist, “Actuator Fault Detection and Isolation System for an Hexacopter,” 2014 IEEE/ASME 10th Int. Conf. on Mechatronic and Embedded Systems and Applications (MESA), 2014. 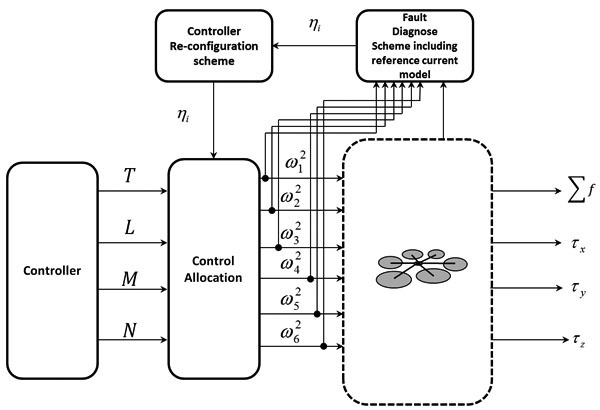 T. Schneider, G. Ducard, K. Rudin, and P. Stupler, “Fault-tolerant Control Allocation for Multirotor Helicopters using Parametric Programming,” Autonmous System Lab, ETH Zurich, Switzerland, 2012. M. Frangenberg, J. Stephan, and W. Fichter, “Fast Actuator Fault Dedtection and Reconfiguration for Multicopters,” AIAA Guidance, Navigation, and Control Conf., 2015. Y. Yang, K. Nonami, Y. Song, and D. Iwakura, “The Research of the Fail Safe System for Muti-Rotor Helicopter,” Dynamics and Desgin Conf. 2013, 2013. G. J. J. Ducard and M. D. Hua, “Discussion and Practical Aspects on Control Allocation for a Multi-Rotor Helicopter,” Int. Archives of the photogrammetry, Remote Sensing and Spatial Information Science, Vol.XXXVIII-1/C22 UAV-g2011, 2011. Y. Marks, J. F. Whidborne, and I. Yamamoto, “Control Allocation for Fault Tolerant Control of a VTOL Octorotor,” UKACC Int. Conf. on Control, 2012. D. Vey and J. Lunze, “Structural reconfigurability and analysis of multirotor UAVs after actuator failures,” 2015 IEEE 54th Annual Conf. on Decision and Control (CDC), 2015. I. Daisuke “Research on the indoor and outdoor autonomous flight of the multi-rotor helicopter,” Ph.D. thesis, Chiba University, 2013.